I have learned that most varieties of winter squash are forgiving in their cooking times. 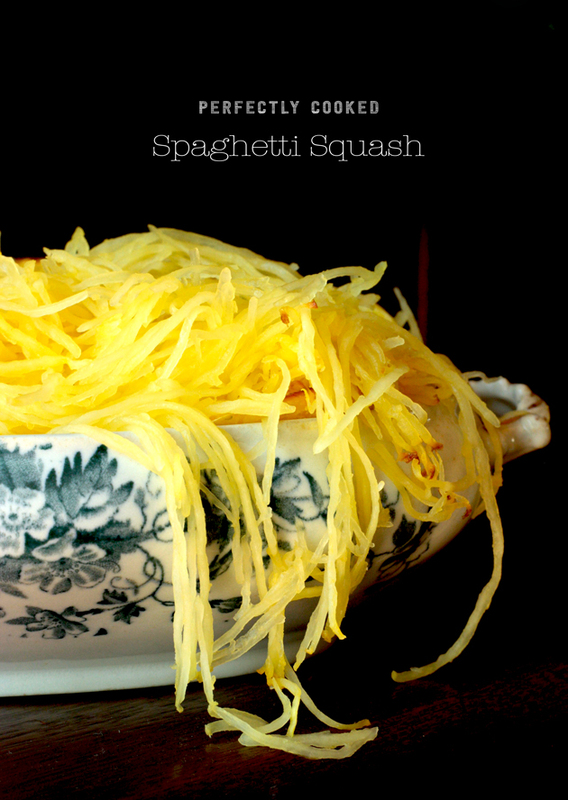 Spaghetti squash is not. You really want it al dente—with a little crunch. Overcook it and it turns to an unappetizing state of mush. After much trial and error, here is the most surefire way I have found to cook spaghetti squash to perfection. When selecting winter squash pick out one that’s heavy for its size. Carefully cut the squash lengthwise and scoop out the seeds. An ice cream scoop is handy for this job. Sprinkle with a little sea salt (optional) and place face down on a lightly greased baking sheet (I use a high heat oil like avocado). Bake in a 375˚F oven for 35-40 minutes—or just until the flesh of the squash begins to soften. A good test; stick a fork through the skin and it should be firm but penetrable. Allow the squash to cool enough to handle then gently “shred” the flesh using a fork and scoop out into a serving bowl. I'll have to try your way sometime! I cook spaghetti squash whole in the oven, on 400F with a few holes poked in it with a knife. It works great and that way I don't have to slice it in half raw which is hard for me to do. Try cutting the squash in half the short way (which is the way the strands run) and you will get nice long strands resembling spaghetti!